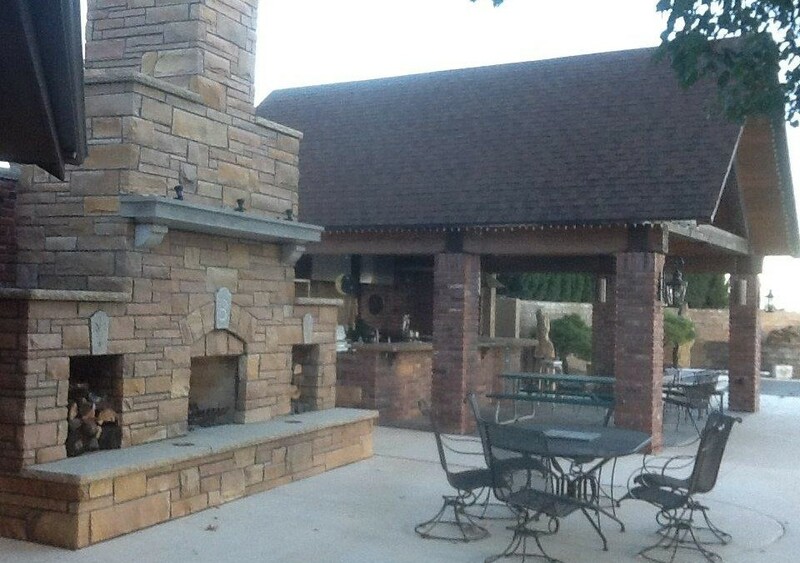 This outdoor kitchen and fireplace was built using reclaimed stone, brick, wood and even kitchen hood equipment. The decking was installed and left in its natural state. 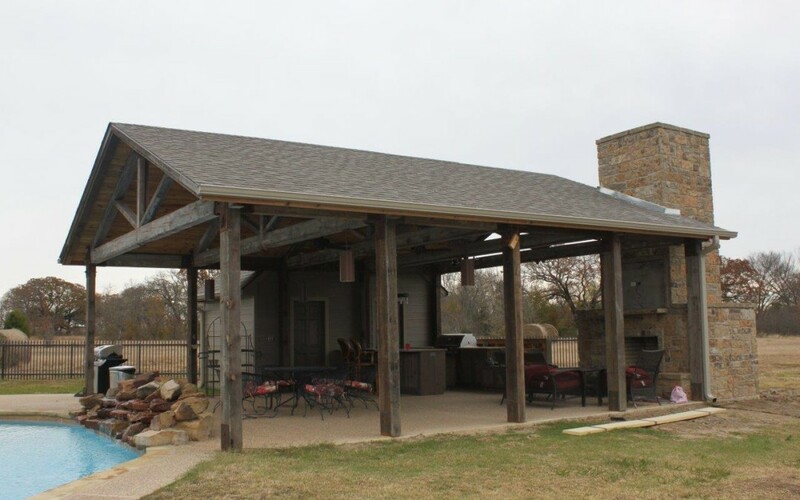 The trusses were built uses reclaimed beams and steel.